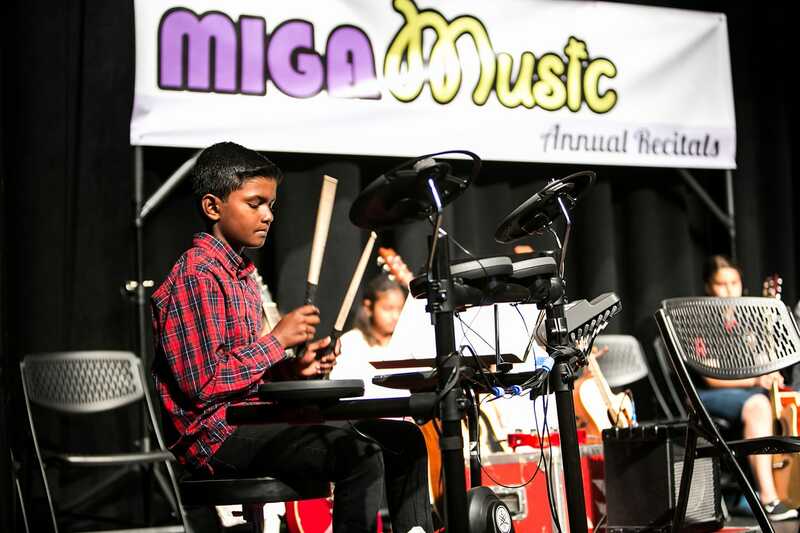 We introduced drum lessons at the time when we moved to our current studio premises back in April 2015. There are two drum sets in the room, so that teacher and student don’t have to play musical chairs. 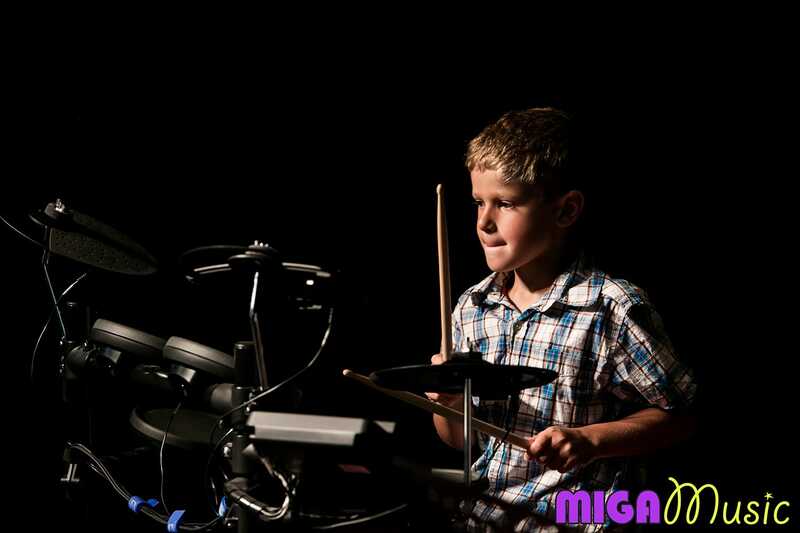 We have three fabulous and certified drum instructors at our studios. Drums are certainly fun! 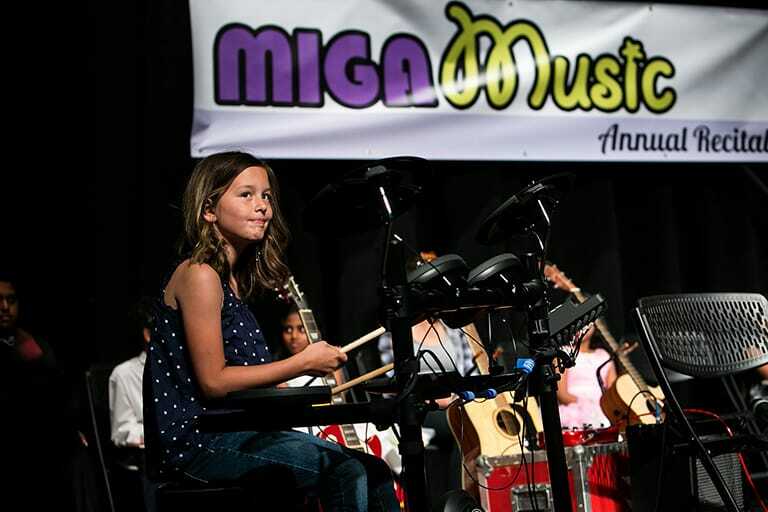 Drum lessons suit children 5 years and older. However, there is another requirement as well: The student has to be able to reach and operate the 2 floor pedals with his or her feet. So other than age, physical size of the child is also a criteria one has to consider when enrolling for drum lessons. For practicing at home, for the first few weeks a simple practice pad ($20) and a pair of drum sticks will do. Even an old “Rockband” or “Guitar Hero” drum set will do. However, if the student is serious, having a proper drum set at home is recommended. While acoustic drum sets are the real thing, it is not possible to “turn down” the volume. We strongly recommend electric drum sets that can be purchased for around $600 and up.